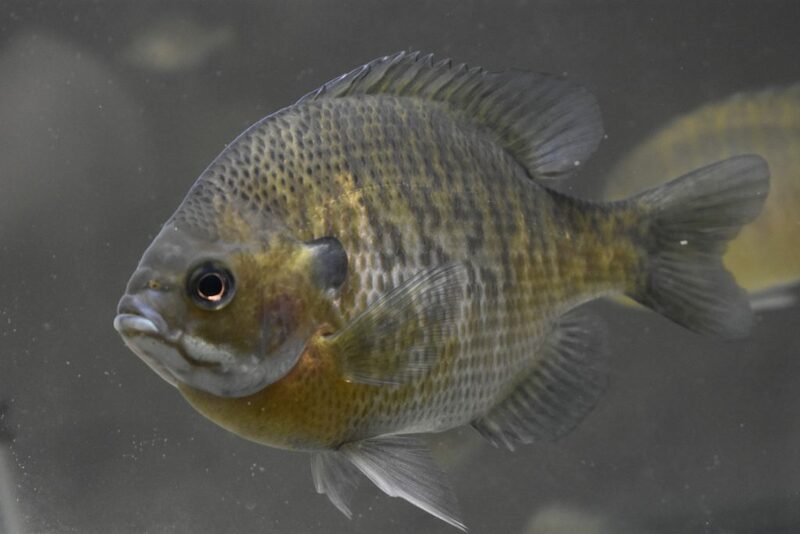 If there is a puddle in New Jersey, there are likely bluegill in it. They are one of my favorite species to catch, and I keep specimens that exhibit unusual characteristics or scale patterns. 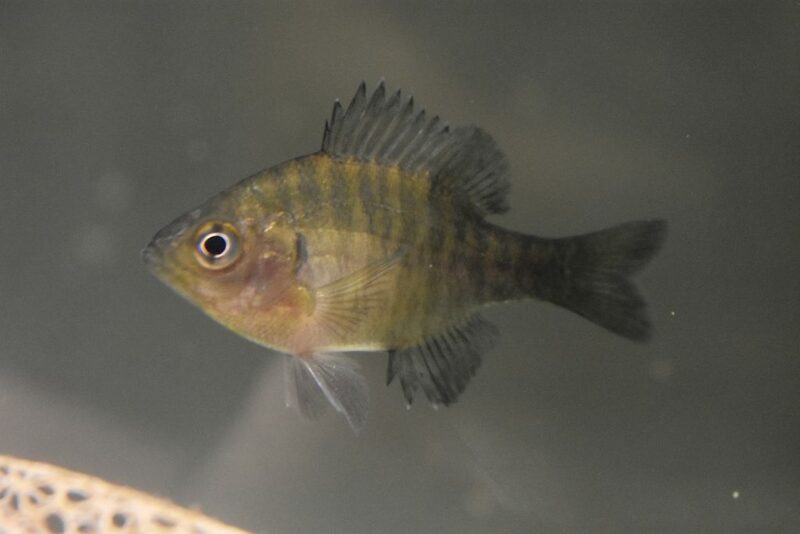 “Blue Harry” a typical female bluegill (my son named her). 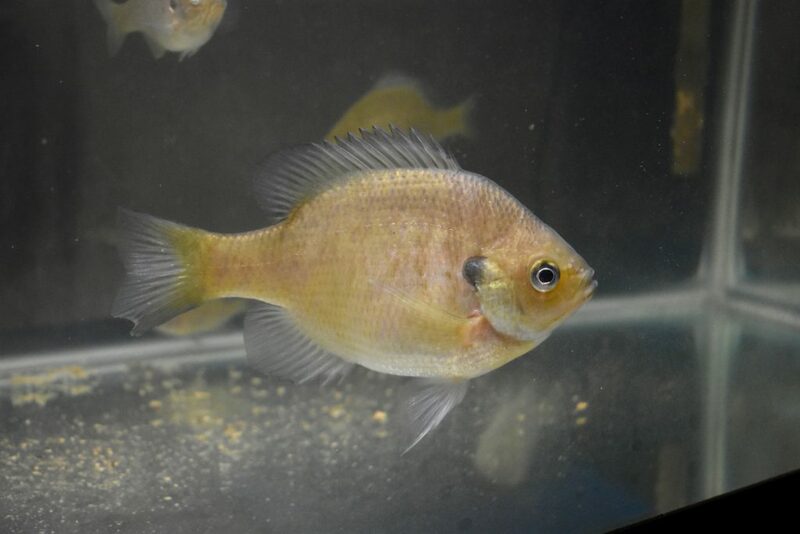 “Blondie” a hypomelanistic bluegill (a “blonde” 🙂 ). This specimen has no name, but appears to be a chimera with two different tones.